Although joint replacement can be intimidating, it’s often necessary in cases where conservative treatment has failed to relieve a patient’s chronic joint pain. Dayton, Nevada, area residents can count on the specialists at Tahoe Fracture & Orthopedic Medical Clinic to meet all of their joint replacement needs. 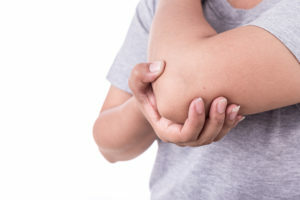 Some joints, such as the knee, are considered to be “hinge” joints, while others, such as the shoulder, are considered to be “ball and socket” joints. Patients in Dayton, NV, may require joint replacements if they’re living with a chronic condition like osteoarthritis or rheumatoid arthritis, if their family has experienced cartilage issues in the past, or if they’ve sustained a traumatic injury like a fracture. In some cases, our surgeons may be able to perform joint replacement procedures using minimally invasive techniques. Because minimally invasive procedures involve smaller incisions and less muscular trauma as compared with traditional procedures, they often result in shorter hospital stays and quicker recovery times. If you’re in the Dayton, NV, area and you think you may require a joint replacement, please call Tahoe Fracture & Orthopedic Medical Clinic today. Because we’re a full-service practice, you can rest easy knowing that you’ll receive seamless care, start to finish, without the hassle of having to visit multiple providers in various locations. Our team even includes skilled physical and occupational therapists, so we’ll be able to guide you through any postsurgical rehabilitation you may require.